Join Asheville GreenWorks, MountainTrue, 98.1 The River, and French Broad Outfitters at New Belgium for the next great installment of the Riverkeeper Beer Series! Come ready to float, clean up our river, and taste the release of the Riverkeeper Beer at the after party. Participants will meet at New Belgium and will be shuttled to the Swannanoa River, where we will float back to the Craven Street boat access with boats full of trash. We can then walk to the Wedge for beer, live music, and prizes. Boats and paddling gear are provided, but folks are welcome to bring their own. This section of river is flatwater and suitable for all paddlers. The first ten folks to register will receive the 2018 Recover Brands Riverkeeper Beer Series shirt. 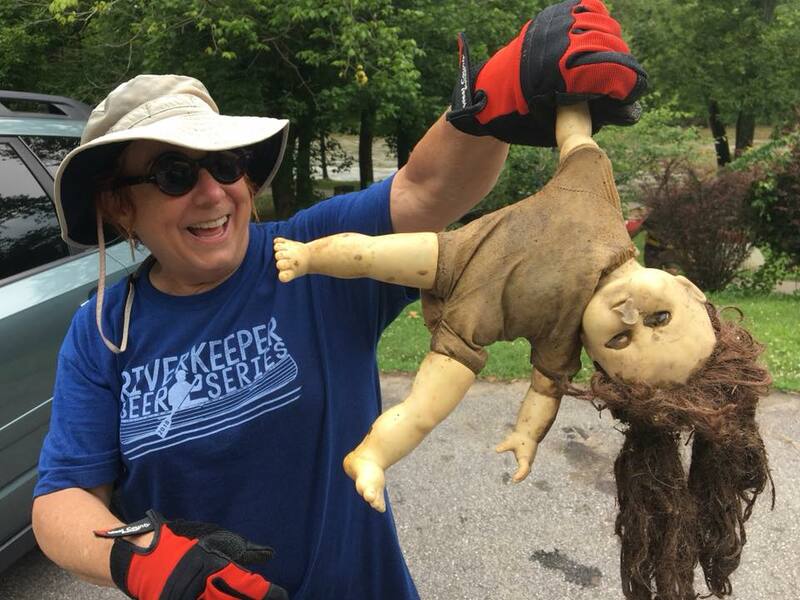 Everyone will have a chance to win some great prizes from the Asheville Gear Builders for finding the weirdest trash, most tires, creepiest trash, and best overall trash haul.